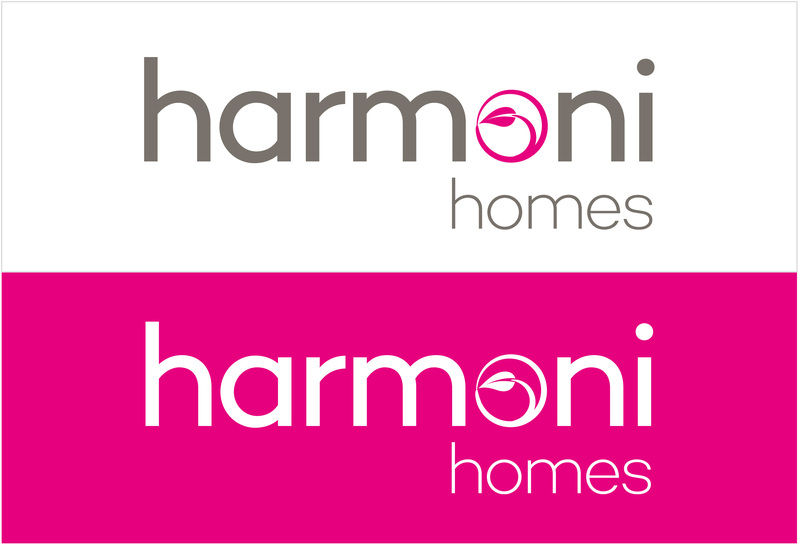 Harmoni Homes is a new venture from United Welsh, providing high quality homes in South Wales. We were excited to be asked to create the brand and got involved right from the start at a workshop to generate ideas for the company name. Being part of this process really helped us identify the aspirations for the brand and how it was to develop. 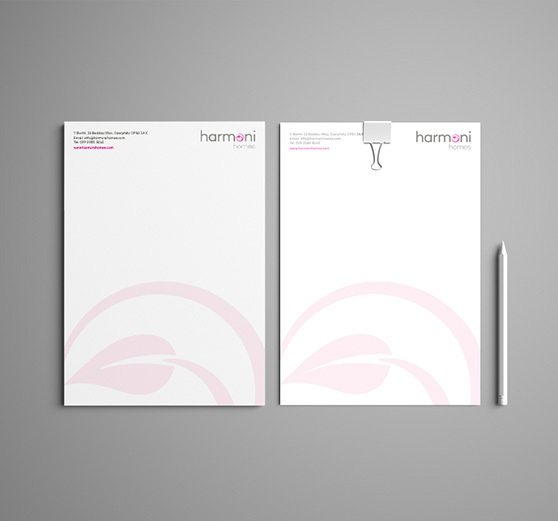 A number of creative concepts were researched and produced along with consideration of the brand across a number of initial deliverables such as brand guidelines, business stationery, folders, ‘For Sale’ signs and graphics for the company’s online presence. 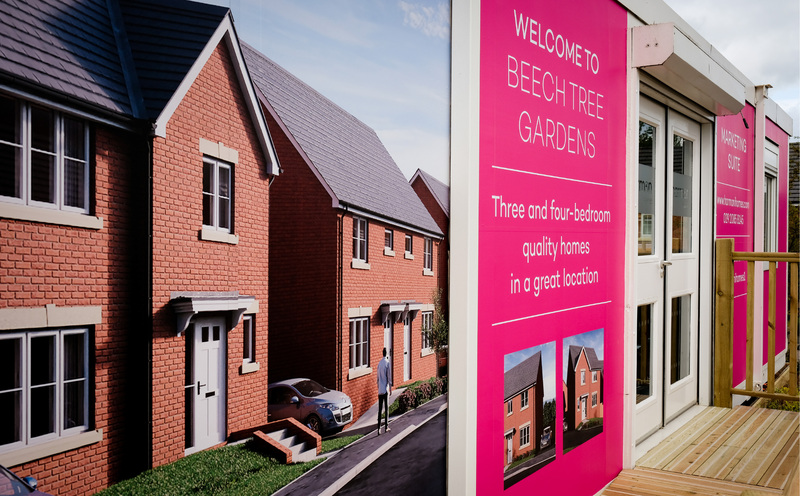 We then worked with them on their first landmark housing development in Caerphilly called ‘Beech Tree Gardens’. 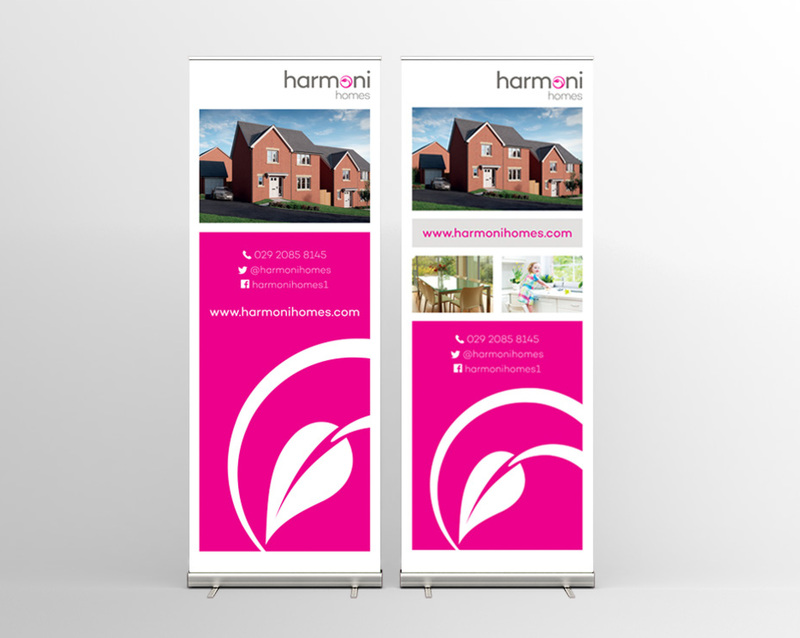 As building work got underway a set of hoarding panels were designed and erected around the site advertising the forthcoming development. The hoardings were a huge success generating 32 enquiries on the first day of installation. 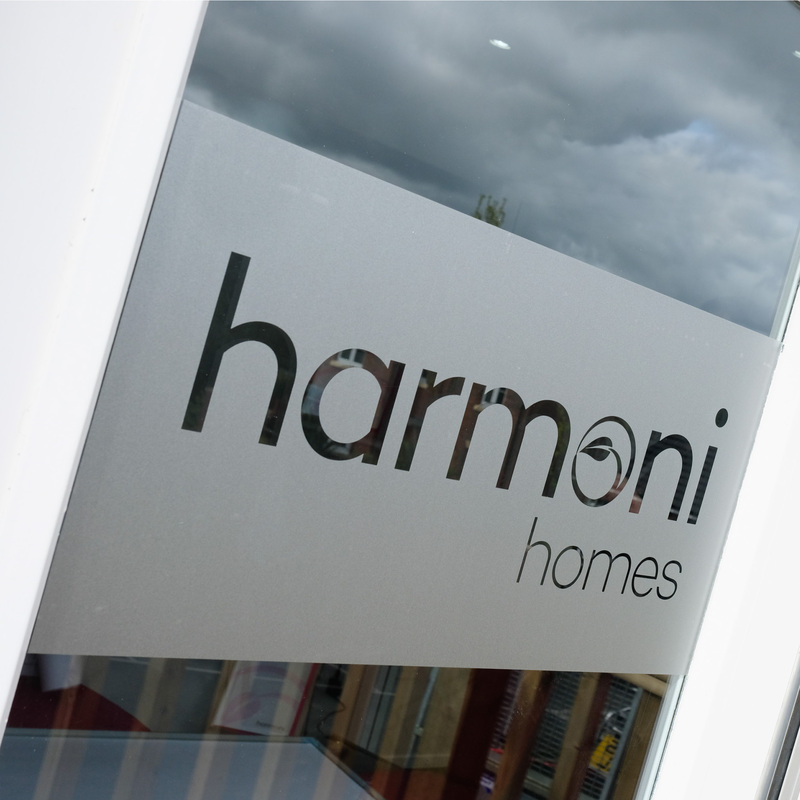 We went on to create a full marketing package to help launch and market this new contemporary development which included the marketing suite exterior and interior graphics, window decals, flags, posters, and other promotional literature. 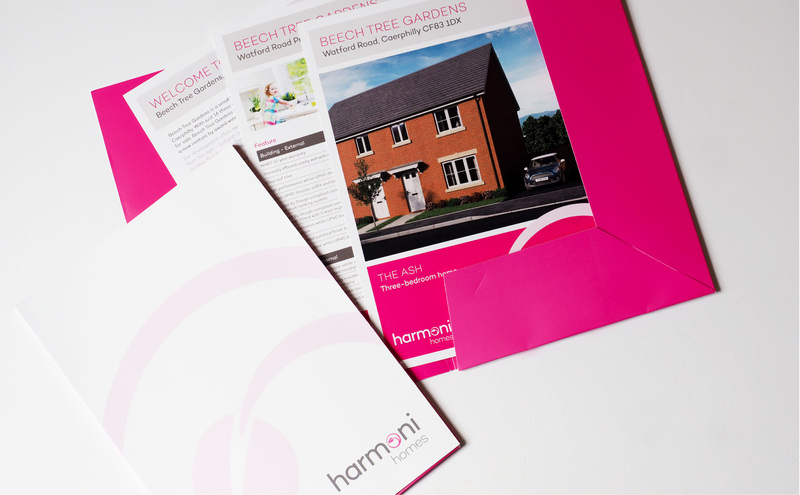 Due to the variety of products that would bear the brand it was vital that the brand looked consistent across all print and digital platforms. 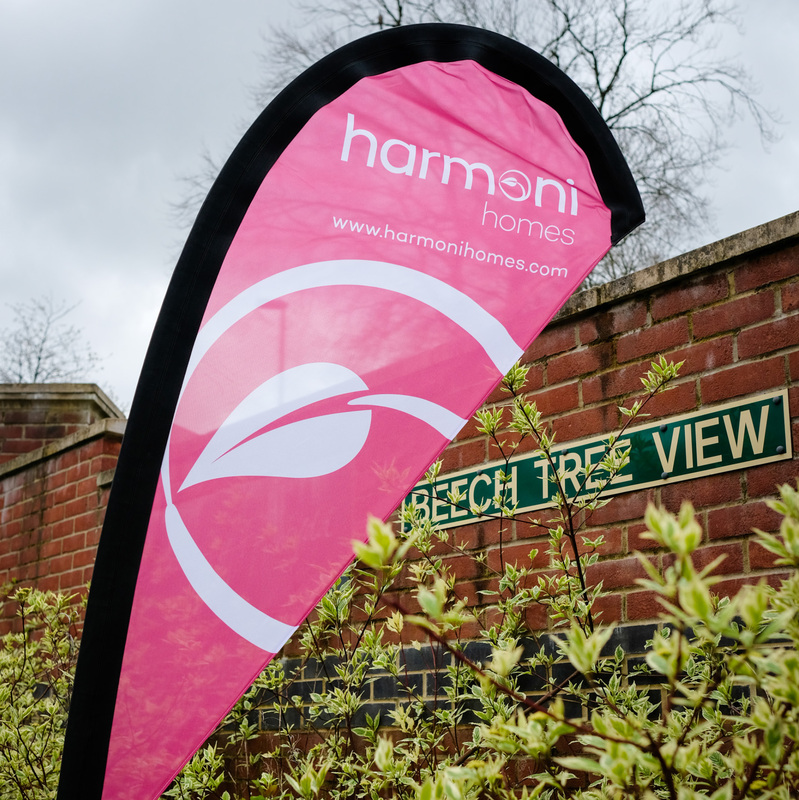 As more and more houses have been sold, we’ve created further banners to keep the public informed on all the latest news and sales from the site. 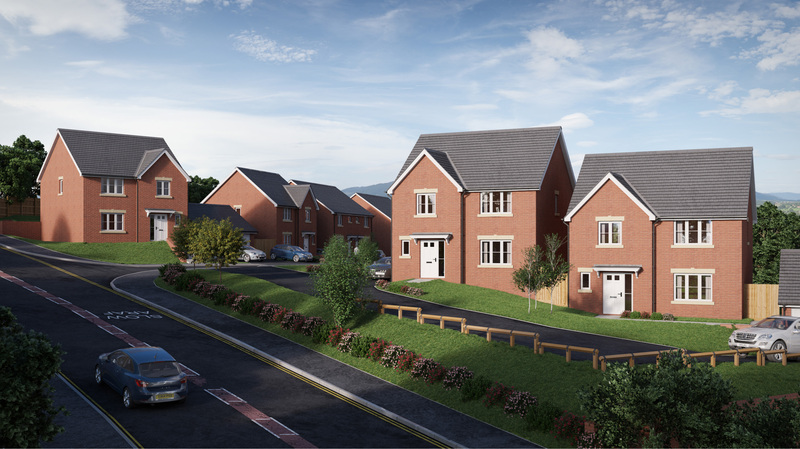 The overall results have been amazing with approx 80% of the development already sold.